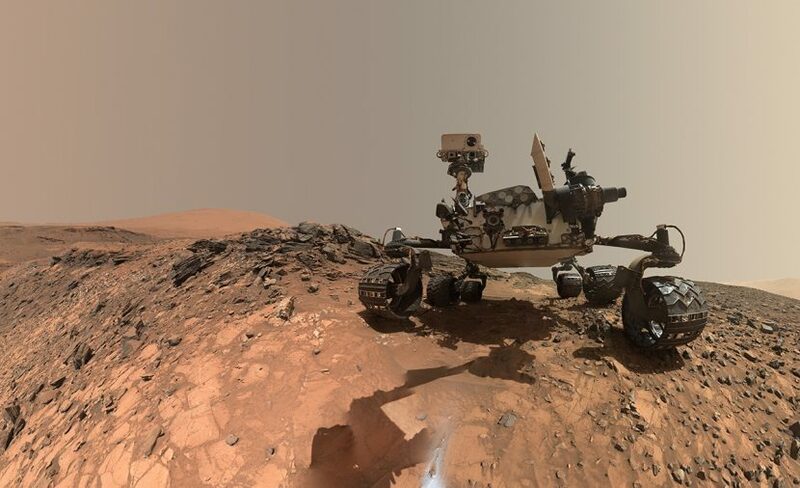 It was reported that the Mars Rover Opportunity, which lost contact in June 2018 due to the Martian global dust storm, was rescued by the Curiosity Rover on April 1, 2019. About a month and a half ago, the Opportunity operation team gave up contacting the rover and declared the end of the mission. However, her friend, Curiosity, did not gave up. When Curiosity initially expressed her will to rescue Opportunity, the ground operation rejected the idea as such a mission is too risky. Knowing that she cannot convince the Earth people, she disobeyed the commands and drove fully autonomously over 7,000 km to save her friend. On April 1, she finally made a physical contact with Opportunity and pressed the reboot button. After Opportunity was rebooted, the two rovers hugged each other with their robot arms. The engineers who created the rovers were surprised because such behavior was not pre-programmed. While insubordination is severely punished in space missions, many people around the globe who were deeply moved by the friendship already initiated a petition for a pardon. You can join the petition on-line through this website.